Last November, just after Thanksgiving, there was a remarkable gathering in Camarillo. Some 400 members of our community – representing business, education, government and nonprofit organizations – came together for the first-ever Ventura County Education Summit. They were there to forge stronger bonds between education and business to ensure students are learning the human and technical skills they need for careers in our local job market. To see so many people show up bright and early on a Monday after a holiday weekend for the benefit of our students confirmed a most fortunate circumstance – we live in a community where people from all walks of life are deeply dedicated to the future success of our young people. The Education Summit was also a great personal source of inspiration as I begin a new term as your Ventura County Superintendent of Schools. As 2019 gets underway, I’d like to share some “Areas of Focus” for the 150,000 students who attend Ventura County public schools. However, before diving into the work that lies ahead, it’s important to remember what’s already been achieved. The high school graduation rate in Ventura County continues to climb – reaching 85.7 percent in the 2016-17 school year – while the percentage of students who drop out is on the decline. A record number of Ventura County high school students are graduating with the necessary coursework for admission to the University of California and California State University systems. Also, more local high school students than ever are taking advanced placement tests, giving them the opportunity to earn advance college credit. And, a little further back in the pipeline, our most recent standardized test results show continued improvement for third and fourth grade students, Hispanic students and economically disadvantaged students. Ventura County has also become a statewide leader when it comes to providing career technical education (CTE). There are new courses in cutting-edge fields such as cyber security, mechatronics and unmanned aerial vehicles as well as certification programs that prepare students for rewarding careers whether or not they are headed to college. In the past few years, the number of students taking CTE courses in Ventura County has more than doubled to nearly 42,000. The momentum is headed in the right direction, but there are still many challenges to be addressed. Some are in the home, where economic hardship and the lack of English language skills continue to pose significant barriers for many students. Others are at the state level where – despite restoration to 2007-08 levels – per-student education funding lags far behind most other states. While the challenges are real, so is the commitment to making continuous improvement in our schools by maximizing the resources we have. One of the tools that will help guide those improvements is the California School Dashboard, the state’s new system of measuring school performance. The Dashboard goes beyond test scores to look at additional factors that impact student success such as chronic absenteeism, the graduation rate and English learner progress. It’s an important resource that will advance one of our top priorities: using the growing trove of student data to identify the bright spots which in turn can serve as examples to other schools. One thing the data has already shown us is that we must continue giving attention to students’ social and emotional needs. Students who feel unsafe or ignored at school are not in a good position to succeed academically. To meet this need, we will expand the use of approaches such as whole child development, positive behavior reinforcement and civic engagement to create environments where students can truly focus on their learning. On a related note, the physical safety of our children is an area where there can be no compromise. Whether it’s a natural disaster, threat of violence, bullying or any other form of adversity, student health and well-being will always be our highest priority. It is with both pride and conviction that we recognize and practice this throughout all of our Ventura County schools and school districts. Another overarching mandate is to maintain and enhance the capacity, culture and collaboration between our public schools, colleges, businesses and local government. Ventura County already enjoys these benefits to a large degree, and last November’s Education Summit was an important step in taking things to the next level. As we continue moving forward, an emphasis on interdependence, transparency and clarity of purpose will serve us well. Additional priorities for the coming year include leveraging new technologies in the classroom, attracting more bright minds to pursue teaching careers and helping more parents become engaged with their children’s education. As we enter another New Year, I am confident that our schools have the initiative, the talent and the commitment to provide a quality education for all Ventura County students. 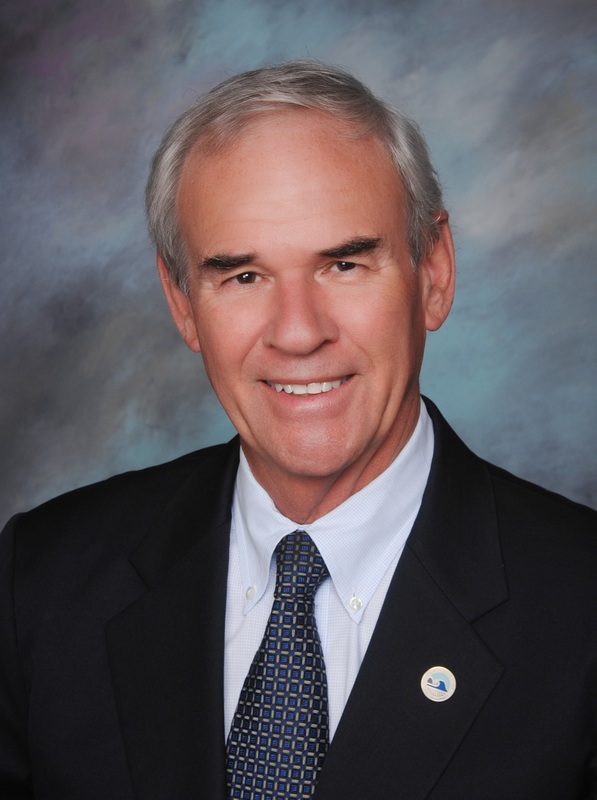 Stan Mantooth is the Ventura County Superintendent of Schools and current chair of the Ventura County P-20 Council. Learn more about his Areas of Focus for public education at www.vcoe.org/af. This op-ed piece also appeared in the Ventura County Star.